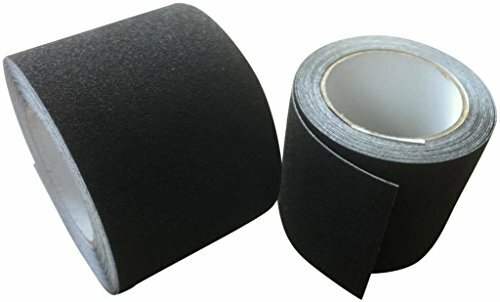 ANTI SLIP TAPE BLACK SELF ADHESIVE 25mm x 6m1 Roll Black Anti Slip Tape25mm x 6m Anti Slip Tape can be applied to various surfaces such as ceramic tiles, concrete, marble, aluminium and steel chequer plate. Suitable for use on staircase treads, steps, ladders, ramps, scaffolding, buses, trucks etc.Can be applied to almost any surface and is resistant to water, detergents and oils.You will be buying from a 100% positive feedback HIGH Rated Seller check it out for yourself. All orders are despatched same day on 1st class postage.